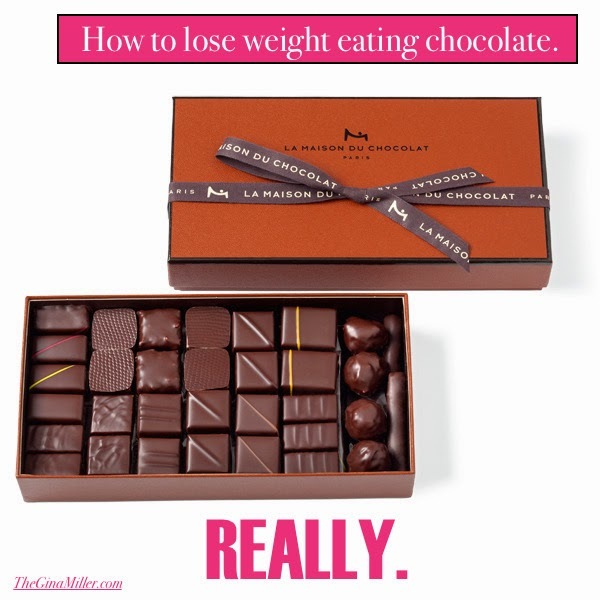 How to Lose Weight Eating Chocolate | Gina Miller's Blog - A working mom's blog about fitness, travel, handbags & beauty. Chocolate is wholeheartedly part of a healthful diet. Let's pause for a moment and do the happy, chocolate dance! Study author Magdalena Cuenca Garcia says that the catechins in chocolate are believed to help regulate hormones related to obesity. Catechin levels rise proportionately with cocoa content, meaning the darker the chocolate, the better. Milk chocolate contains added sugar, it's not good for you. That's candy and it's crap. Dark is the way to go. Note that it is a small portion of chocolate, about an ounce and a half or a single square. A decadent, complex dark chocolate square is a substantial treat when savored. I dropped about five pounds to prepare for a photo shoot while enjoying a square of dark chocolate every, single day. This "diet" included the Easter holiday on which I ate substantially more than a square...more like an acre. While I was in Paris, I joked that I ate the cheese, chocolate and wine diet. You know what? I lost weight. Four pounds to be exact. Breakfast: two scrambled eggs with small sprinkling of cheese and four or five strawberries. Lunch: broth-based soup or a salad. Sometimes I was on the run and simply had a Pure Protein bar with a tangerine. Snack: handful of raw almonds with five apricots or an apple and peanut butter. Dinner: canned salmon with dijon mustard (I love this) with half an avocado and a cup f steamed broccoli or cauliflower. Dessert: one square (maybe 2) of dark chocolate. I worked out, generally, 30-60 minutes every day with a mix of aerobic exercise and weightlifting. I never felt deprived or hungry. In fact, I felt great because I wasn't overindulging or eating too much. It was nice. UPDATE, 2/2016: while my weight fluctuates 3-4 pounds every month, I have maintained that weight loss. Meaning, I am fitting into my skinny clothes. Yes, I still eat a dark square of chocolate (or two) almost every day. I recently fell in love with World Market's Dark Chocolate Sea Salt Bar. At 64% cocoa, it's the perfect blend of sweet and salty that satisfies a craving. I also dig any combination of orange and dark chocolate like Lindt's Excellence Intense Orange Chocolate. Have you tried dark chocolate dipped orange peels? They're ridiculously good. Dark chocolate-covered strawberries? That's a healthy indulgence home run! The strawberries deliver some filling fiber while the chocolate satisfies your sweet tooth. They also take a while to eat which means you will eat more slowly. What dark chocolate treats do you love? Please share your favorites in the comments section. Looking for more practical diet and fitness news? Sign up for my newsletter, The Real Skinny. It features simple healthy living tips for the real world, like this one. 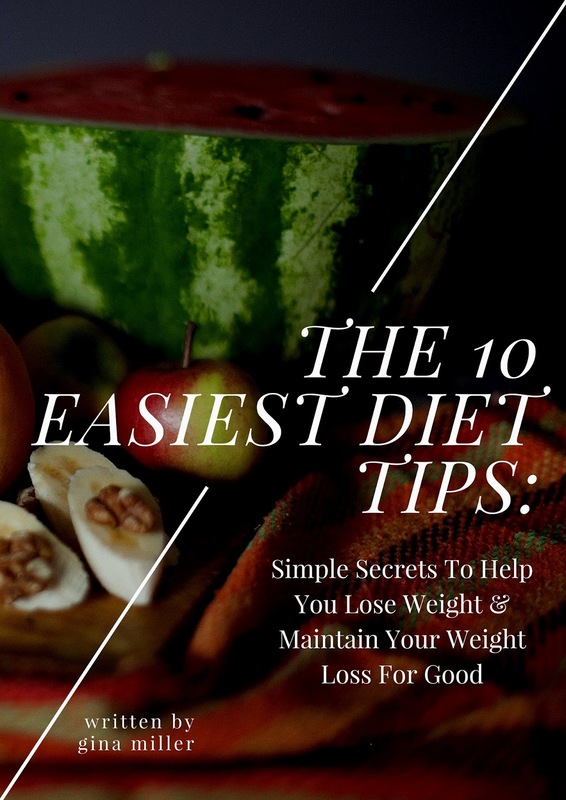 When you sign up, you'll get a copy of my ebook, The 10 Easiest Diet Tips: Simple Secrets To Help You Lose Weight & Maintain Your Weight Loss For Good. Are Some of Us Born to Loathe Exercise? Is Your Afternoon Snack Making You Fat?